Nursing is an exciting and rewarding career. You’d be hard-pressed to find a field with more available jobs, better benefits and daily opportunities to improve lives. If you want a career that’s challenging and enriching, nursing is the perfect fit. 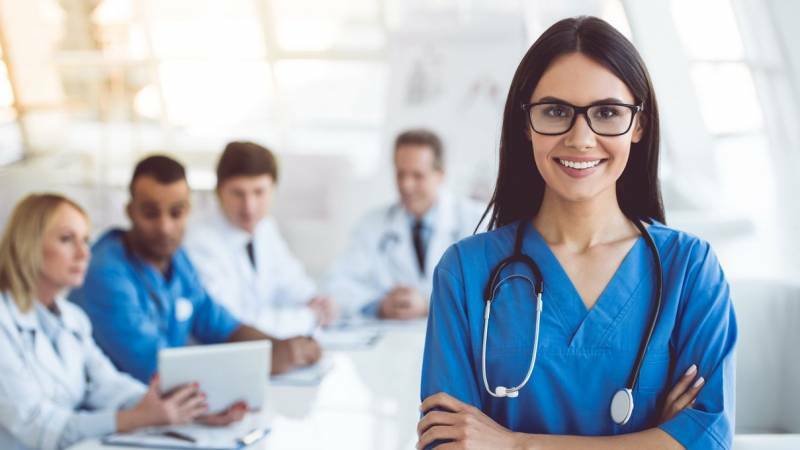 And because nurses are in such high demand, it isn’t difficult to get started: you can begin and complete your nursing education in a very short amount of time and small amount of money. Here are the top five reasons to consider earning your nursing degree. Nurses are always in demand. Unlike other job fields, nurses are in need at hospitals, doctors’ offices, and care centers across the US. The US Bureau of Labor projects that the nursing employment rate will grow 16 percent in the next 6 years alone. Additionally, nursing is a recession-proof profession. When the job market and economy slump, nursing doesn’t. As US News reports, nursing is one of the most secure jobs of 2018. With an aging population and health problems on the rise, nurses will only become more in demand. Most people associate nursing with long, grueling hours, but nothing could be further from the truth. The schedule is actually more flexible than most traditional jobs. Nurses can choose to work whatever hours and shifts they prefer: early mornings, midday, evening, or even the middle of the night. You can choose to work weekends or to keep your schedule Monday through Friday only. Some nurses prefer to stack their shifts, for example working 3 days on and 4 days off; it’s entirely up to you. College tuition may be growing more expensive every year, but student debt doesn’t have to be a concern if you earn your nursing degree. If you need to take on loans in order to finance your nursing degree, you can get them forgiven after graduation. Special grants, scholarships, and student loan forgiveness programs are all available for nurses. The federal government will forgive loans if you work at a government facility or a military hospital. Or, become a Peace Corps nurse, or work in an impoverished community; you’ll also qualify to have your loans forgiven. That means you could become a nurse without spending a cent! Want a job that allows you to see and experience the world? With a nursing degree, you can do just that. You don’t have to stay in a single hospital – you can explore the many different avenues of nursing and choose a career that takes you around the world. With a nursing degree, you can become a travel nurse, accompanying athletic teams everywhere. Or, you could join the Peace Corps or Doctors Without Borders, helping people in international destinations. Your degree will serve you absolutely anywhere. Becoming a nurse requires learning a challenging curriculum – but you can do all of your studying online. Many nursing degree programs are now available online, making a BA or BS more affordable and available for all students. Online classes make it incredibly easy to get your foot in the door and start your degree. You don’t have to go through a lengthy application process, nor will you need to pay $10,000 or more per semester to attend classes. You’ll get the same valuable education without paying the huge price tag of in-person college tuition. How can you get started on a nursing degree of your own? You can search for and choose an online college that suits you. There are so many options available that allow you to begin an exciting career in the medical world. The path to a nursing degree is affordable, flexible, and quick. You just need to do your research online. You can find a nursing degree program with low-priced classes that offers you all the benefits of a traditional RN degree without taking on a huge financial burden – and you can do it all in less time.